Plex was designed by Mike Abbink—the man behind major Corporate typefaces for clients such as USA Today, GE, and NBC Universal—and independent type founders Bold Monday with an expert touch for the needs of the global company but also the possibilities of the future with three versions: Plex Sans, Serif, and a quirky Mono. Keen readers may note that this type face has been out in the world for a few months now. 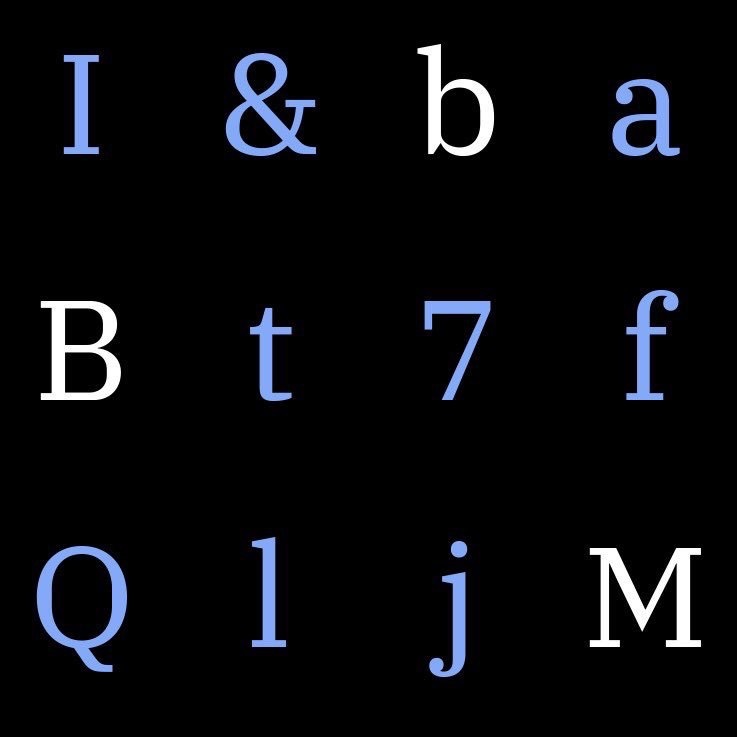 IBM and the typeface designers decided to put it out in the world for free. You can discover more about the typeface and download the collection in this helpful instructional page. Can you believe it’s been over two years since we saw the last book release form the eponymous Pentagram Designer? 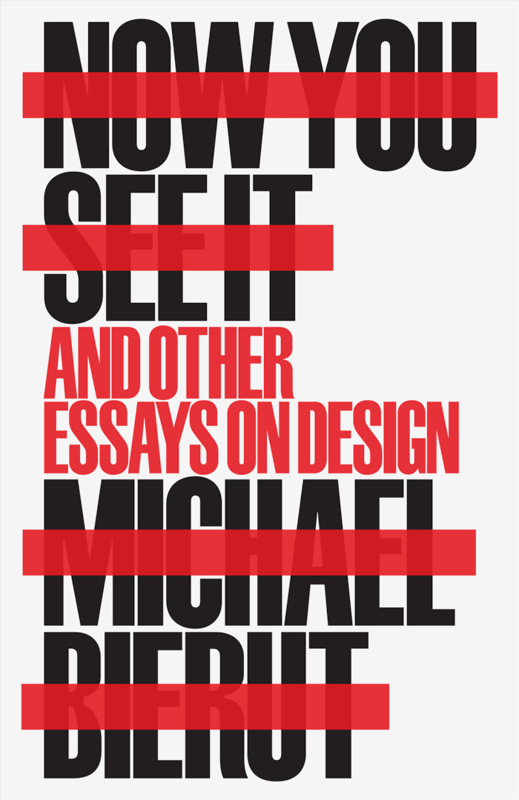 The wait is over, as you can now pre-order Michael Bierut’s latest book Now You See It, Now You Don’t, a collection of essays on design—to be published Nov. 7. If you’re new to design and typography, this book will enlighten you. If you are a seasoned professional, this book will bring you back home. You will be able to purchase the book pretty much anywhere, but we recommend your local book shop. Wind of the latest type specimen from Colophon Foundry flowed through the office this week, and thgouht it was worth a mention here. Colophon has always had incredibly high-quality specimens, and engaging ones at that. You can snag your copy from this limited edition here. Disruption is an inescapable word these days, used to talk about everything from the latest tech out of Silicon Valley to marketing toilet paper. Mohawk Paper investigates what this means in the latest issue of their in-house magazine/newspaper The Mohawk Quarterly. Lucky number 13 is packed with beautiful moments only possible in print, visual inspiration for designers and creatives of all types, stirring writing, and not to mention a deep showcase of what’s possible in print on several Mohawk Papers. Discover more about The Mohawk Quarterly and order a copy here. Note: Mohawk did not pay for this write up. We just think that anything pushing the bounds of print and typography is worth a mention. This piece by Antonio Cavedoni on Francesco Simoncini is insightful, well put together, and just plain ol' fascinating. Learn more about the type designer and mid-century Italian mogul on Medium. Books about singular typefaces have long relished in the dark and dusty shelves of old libraries and private collections. That is to say, they rarely see a tremendous amount of use. ‘Never Use Futura’ by Doug Thomas aims to break that mould. As more of a cultural study of the famous typeface with lengthy and storied history, Doug is able to approach and present Futura in a way that you may not have considered before. The book’s publisher Princeton Architectural Press puts it this way: “Never Use Futura is illuminating, sometimes playful, reading, not just for type nerds, but for anyone interested in how typefaces are used, take on meaning, and become a language of their own.” We’re sold. The book is available now through PA Press or on Amazon. Paul Sahre is one of the design world’s favorite characters, having worked for all the “fun” clients and creating some incredible work over his 30+ year career (so far). He’s written a book about it all. Stories from his life and experience told in the witty way Paul Sahre does. This one is worth picking up if only for the insight into his process and work, but there’s so much more than that. Pick up the book from Abrams Press. Underconsideration’s blog FPO, devoted to the craft and art of printed matter, is shuddering, and we’re only a little bit bummed. (Kidding, we’re very bummed.) FPO, or For Print Only, was a beacon of light for print nerds and students the world over, in a time where the world was becoming more and more digital every day. The blog felt as though there was “a certain repetition in the content — which is not a critique on the quality of the work but a reflection of the type of projects being put out into the world — that we feel does not match the early output of the blog.” The archives of over 2,400 posts will remain online to access. FPO, you will be missed!